The CPA profession is going the same direction that the licensed taxi has with Uber. 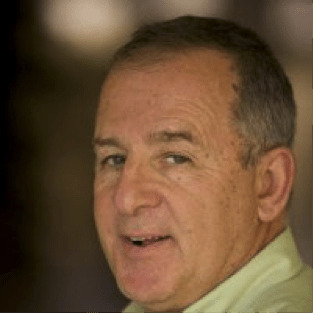 Non-regulated or non-licensed firms are springing up everywhere, claiming to be accounting and advisory services operations, or just plain tax practices. It amazes me to watch this shift occur. You do not need to be a CPA, or even an accountant, to perform these bookkeeping, advisory or tax services. This doesn’t mean that individuals are any less capable than the certified professional; it just means that they chose a different path. These non-regulated firms do not care about doing attest work, or preparing financial statements in some cases. It also means that they are not monitored and have no standard qualification requirements. If you really don’t know their capabilities and wisdom, you should vet them thoroughly before giving them your financial information. I am not objecting to, or criticizing, this rise – it’s inevitable based on the technological world we live in. There are over 28 million small businesses in the US, so it’s a very fertile market. Their success rate increases when they have the help of an accountant, CPA or advisor. 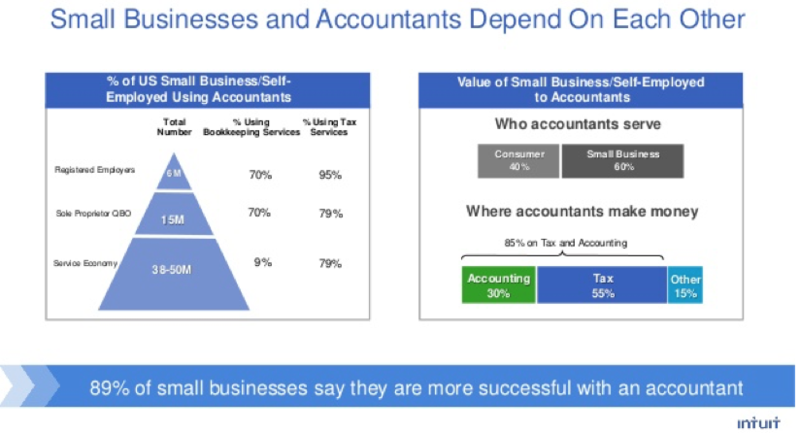 The above diagram states that 89% of small businesses say that they are more successful with an accountant or advisor. This is the key to growth in the world of advisory services. 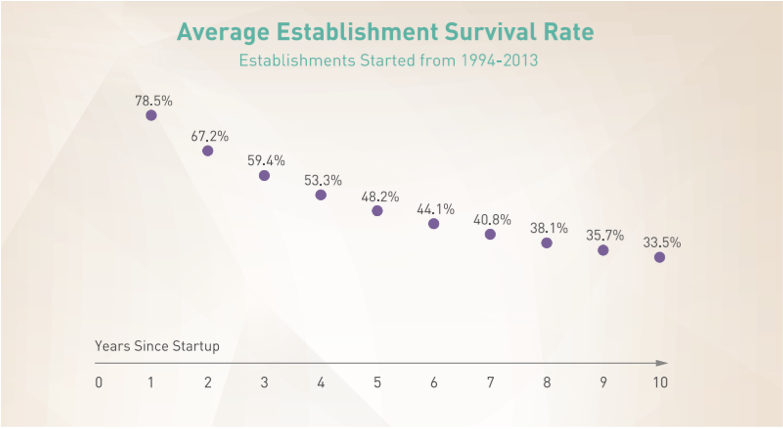 If accountants can increase the establishment survival rate, as depicted on the graph below, they’re benefiting the economy and the employment rate. The days of entering data anywhere are going away, as information is captured digitally at the source. Advisors who can help these small businesses set up processes and procedures are in demand. The value of the CPA accountant, bookkeeper or advisor lies in the advice given to make their clients more profitable, liquid and solvent. This means laying out a business or strategic plan for the client to accomplish their objective, and automating the capture of financial and non-financial information to be able to measure, monitor and then advise on the best courses of action to accomplish the stated objectives. Here is an example of a website that wants to take a business all the way up the value chain: With Accounting Intel, you will see that the service offerings are about automating the business and moving it up the value chain to Wealth Management and other services tha have nothing to do with compliance. The world of accounting has changed. In order to succeed, we need to focus on advisory services, rather than compliance work. Compliance work and the money associated with performing the tasks of bookkeeping, invoicing, payroll, payroll taxes and other services, are not going away – they are just being automated and monitored by smart accountants, bookkeepers, and advisors who have changed the services they sell.